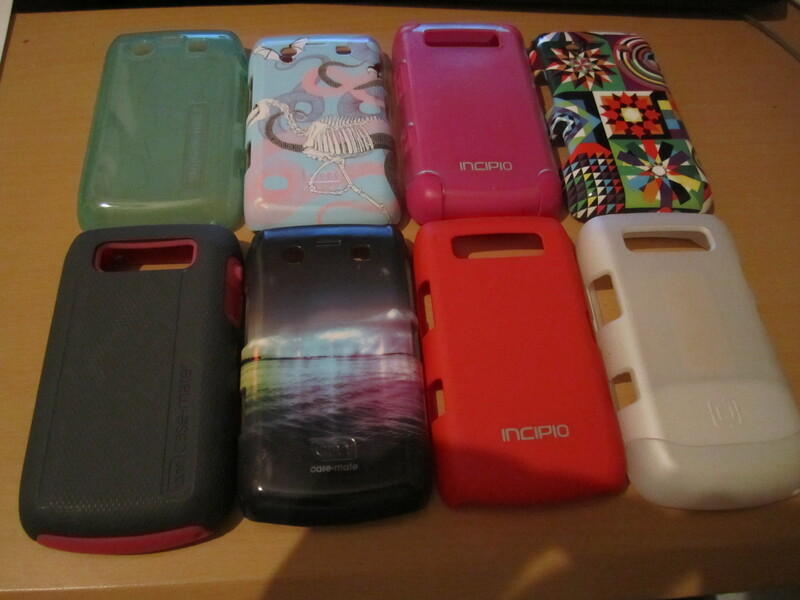 SO, a little unknown fact about me is that I love GADGETS!!!!! 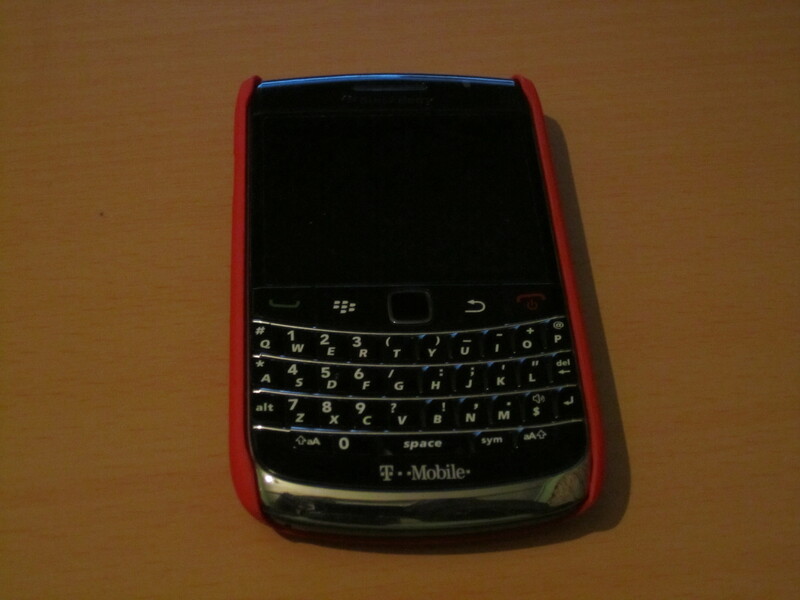 Here is a pic of my Bold….. I even have a group bbm for girl’s night out……ooohhh and of course facebook…hehehehehe. Hey, even though I am a doctor, i still gotta have a life. And of course as a lady my gadget needs to be well accessorized……..
You should ALWAYS have respect for the medical team……. What exactly would you do if there was noone to take care of you when you were sick? Or drunk? Or about to deliver a baby? Instead of acting in a hostile manner towards the members of the medical team, be calm, listen to what they have to say and ask questions if you did not understand something that was told to you. Attempting to hit the nurse who is administering your medications will not get you anywhere. Having your sibling cuss out a doctor will not make them leave the critical patient to come by your bedside any faster. If you decide to come to the hospital for pain meds, and, you attempt to ‘fake chest pain’…….NO…NO….NO……You are going to be treated as though you maybe having cardiac difficulties…….Are you kidding???? Just another crazy day in the ER……. Even when you are tired and overworked, always, ALWAYS, be focused!!! Among them, were several female patients…..who were pregnant and had abdominal pain of varying severity. Each time I called for an OBGYN consult, I was more or less insulted on the phone by an overworked and stressed out doctor…..who was most likely being hammered while oncall. I went to check out each of the patients that I had admitted to see how they had made it through. Apparently one of the patients was in such a critical state that an emergency C-section had to be performed in order to rescue both mother and child. The second patient had an ectopic pregnancy and the third one had a spontaneous abortion. I even ran into the rude OBGYN oncall doctor, who surprisingly mumbled an apology and explained the type of rough call that she was on. A little humor to start your day can go a long way…….. I also happen to follow other blogs religiously….One of my favorites that I have followed for the past two years….’A Cartoon Guide To Becoming a Doctor’. by Dr. Fizzy…:):). Patient: Yes doc this is my third pregnancy in 5 months. I have had two previous abortions. Sleepydoc: Why aren’t you on birth control???? Sleepydoc: Ma’am as it is you are already morbidly obese (~300-350lbs). I suggest that you figure out what you want to do with your life and you need to be educated on birth control. I guess Doctors are really easy to come by???? 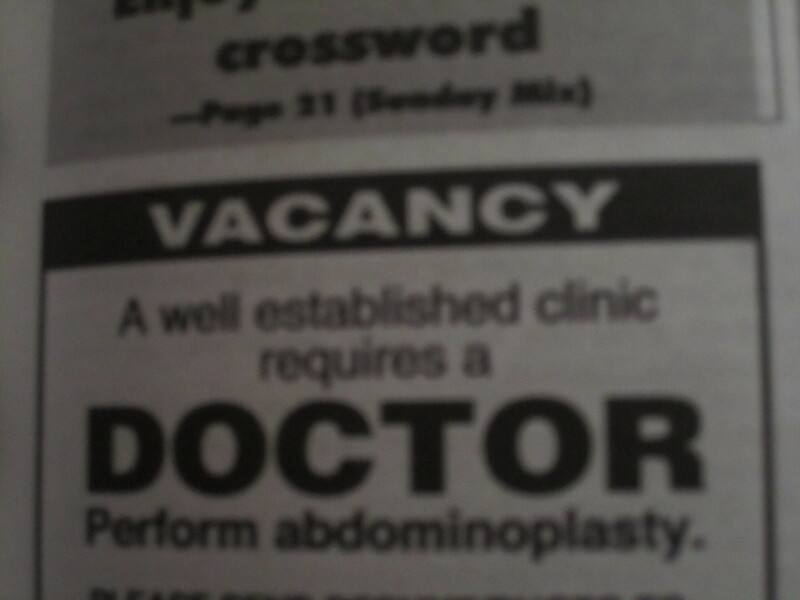 So I was reading the newspaper today and saw this advertisement……. I was actually thinking that people would do anything for a quick buck. Any doctor who responds to this ad is CRAZY!!! !